A beautiful Georgian House, The Folly, has nestled outside the sleepy Wicklow village of Crannagh for generations. Jayne Jordan, abandoning her career and boyfriend in Dublin, moves there to work for the elderly owners. Then disaster strikes. The house, now renamed Finn’s Folly, becomes a residential and holiday hotel which caters for a disparate group of people whose lives become indelibly intertwined. FINN'S FOLLY is a warm uplifting tale full of life, tragedy and love lost and found. Enda Maher was born and brought up in Dublin where she qualified as a doctor. Years ago she moved to County Wexford where she worked as a general practitioner until her recent retirement due to a serious illness. 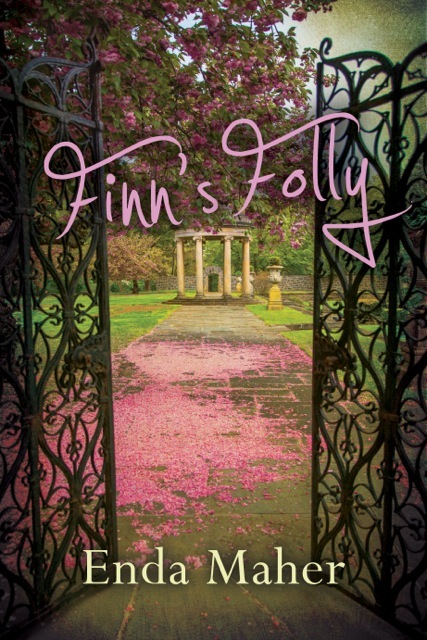 While recovering from this illness she wrote Finn’s Folly, her first novel. She and her husband, also a doctor, still live in County Wexford.